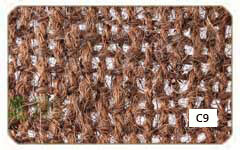 Coir Mesh is made of 100% natural coir twines, woven in handlooms to strong mesh of coir. 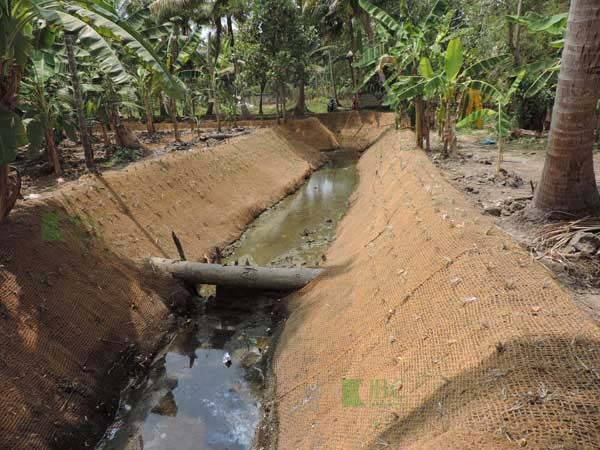 They are effective solutions for erosion control and they could be used in areas like air fields, dams, golf courses, wetland construction, landscaping, mine reclamation, natural lakes, river embank- ments, slide reclamation etc. 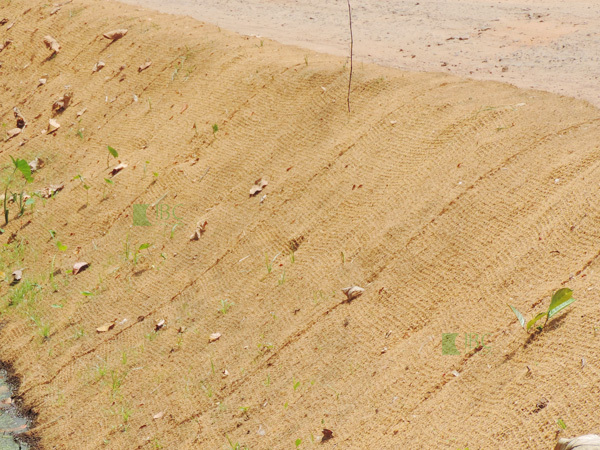 Coir Mesh holds soil beneath while it gives ample time for the vegetation to get matured. 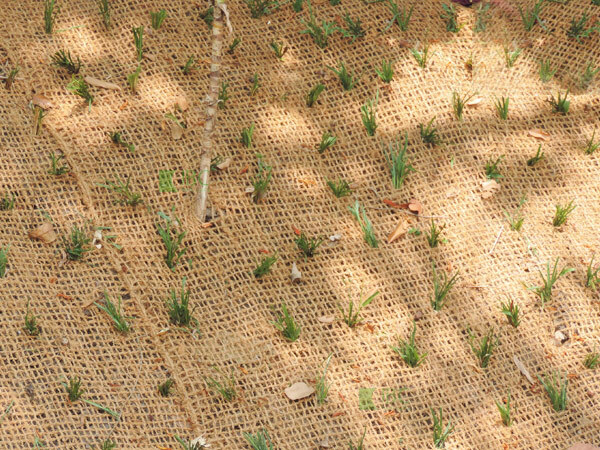 It promotes sedimentation; Creates a favorable micro climate to promote growth, decompose slowly to provide prolonged protection. 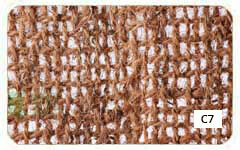 Coir mesh is manufactured in various qualities. 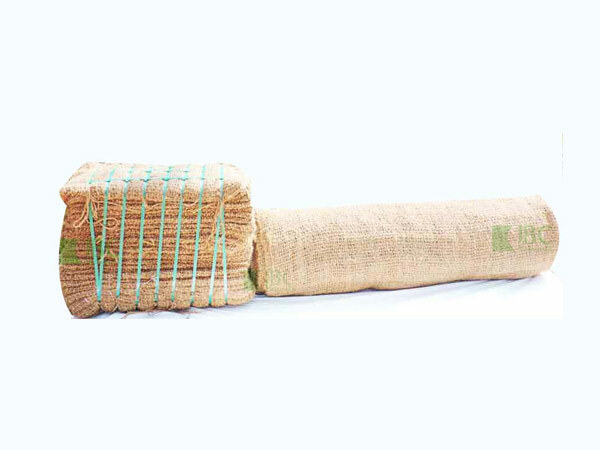 The popular qualities are C4- 400 Grms, C7- 700 grms, C9- 900 grms. 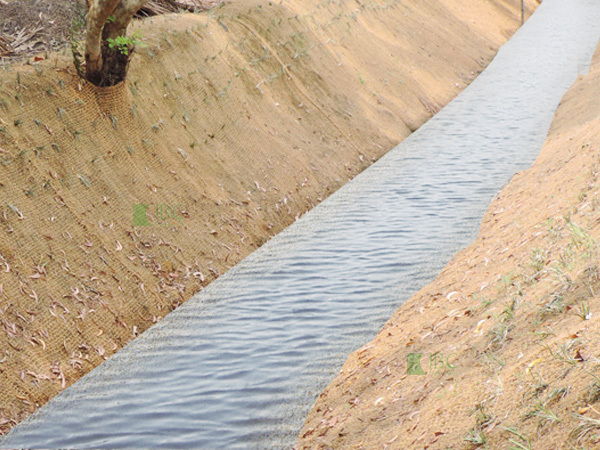 Manufactured Sizes : 1-4 meter wide x 25/50 meter length. 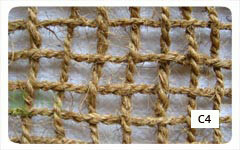 Coir mesh is supplied in Pressed bales and rolls. 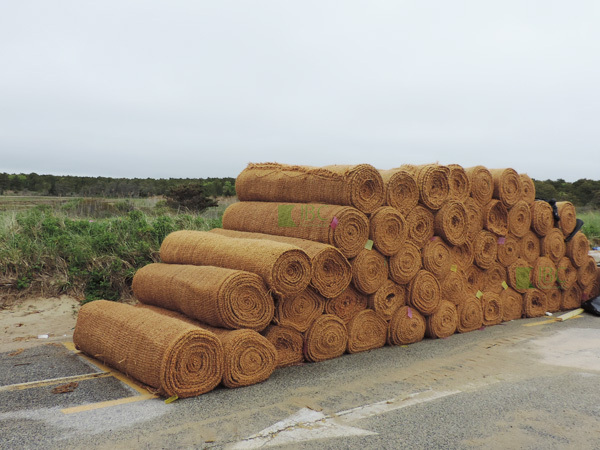 Coir rolls before application at project site. 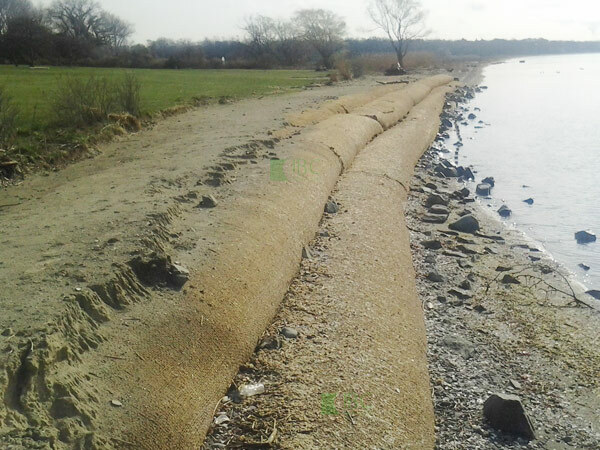 Coir mesh used for shore bank stabilization.